Kenya’s Lotto has been in existence for a while now and they have managed to remain relevant in the lottery industry for long this is because of their consistency, their drive and the growth of their members’ year in, year out. 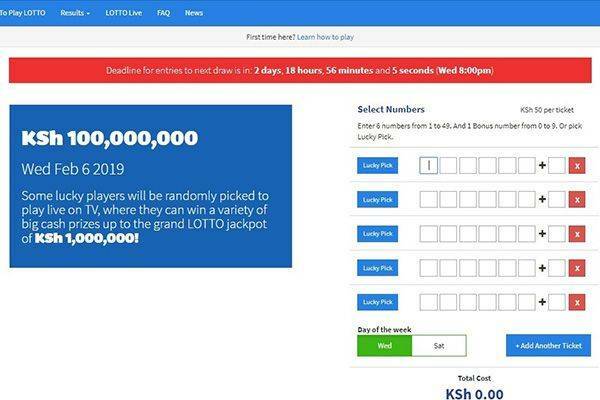 Unlike the conventional lottery system in Kenya, Lotto has made available an official website to aid players to make quick games from the comforts of their homes and to be in the draw to win KSh 100000000 all you need to do is buy a ticket worth KSh 50. As a rule of the game, only one ticket can be purchased per request but multiple tickets can be purchased for the same draw. The Kenya Lotto’s website comes with an easy to use user interface that makes navigating the site quite easy. On the website basic information needed to understand the rule of the game, how to play the game, the different kinds of draw and the results are displayed in easy to spot parts of the website. The website also contains a news segment that gives information on thoughts of the winners of the Lotto. Winners are also displayed on the website to prove the authenticity of the lottery. As broad as LOTTO seems, it is only available for people living in Kenya. You get to gain all the benefits only if you are situated in a physical location in Kenya. To win in the Kenya Lotto, the aim is to pick unique random numbers from 1 to 49 and a bonus number from 0 to 9. You can only qualify for the draws when you pay KSh 50. 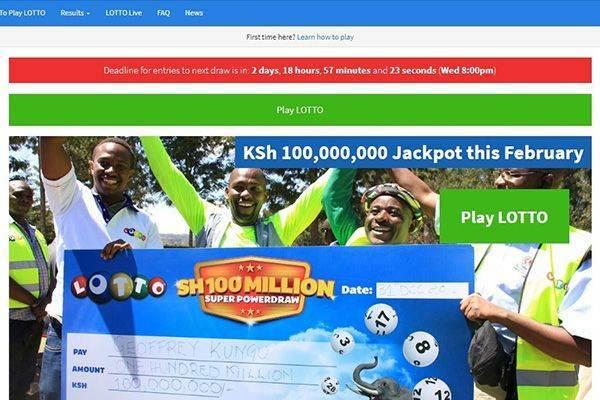 Kenya’s Lotto has made available three different platforms for playing. You could either enter the draws via SMS by simply texting WEB to 79007 for your lucky numbers or you could decide to pick your numbers by sending WEB alongside your 6 digit numbers from 1 to 49 and the bonus number from 0 to 9 or via MPESA or by registering online which is an easier method as it takes less than 30 seconds to open an account and secure tickets just in time for the next draw. In order to win a prize, the minimum number of numbers to match in a game is 2 plus the bonus ball. In order to win a jackpot you have to match all 6 numbers and the bonus ball. Lotto has designated two days of the week for their draws, which is on Wednesday by 21:00 and Saturday by 21:00. Entries to the draws close at 20:00 on any day of the draws. To know if you are winner, a list of winners would be published on the results page and revealed on the lotto live show on KTN at 10pm. There are no mobile applications to support Lotto but different methods of playing have been made available on mobile to aid players. The website which can be opened on a mobile device is one of those methods and the possibility of playing via SMS using the mobile phone. They are no promotions made available for Kenya’s Lotto lottery. Method of payments has been made available through MPESA. Deposits are made into your online account by simply choosing the Lipa na MPESA option from the MPESA menu and deposit at least KSH 50 to pay bill business number 777000, with account number. 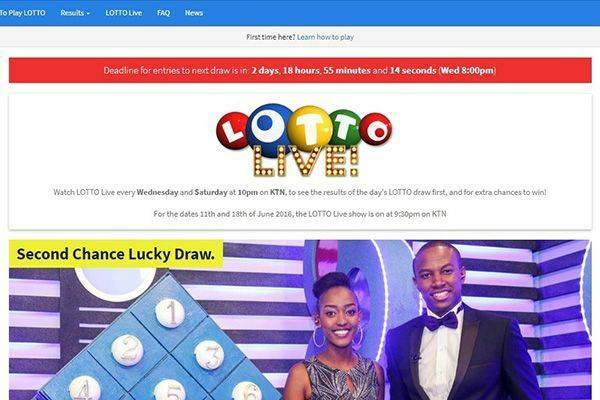 If you emerge winner, a member of the Lotto Live team will give you a call and too claim your winnings, payments of KSh 75,000 or less are paid directly into your online account while payments above the initially stated sum would be given cheques or payments would be made via wire transfer. 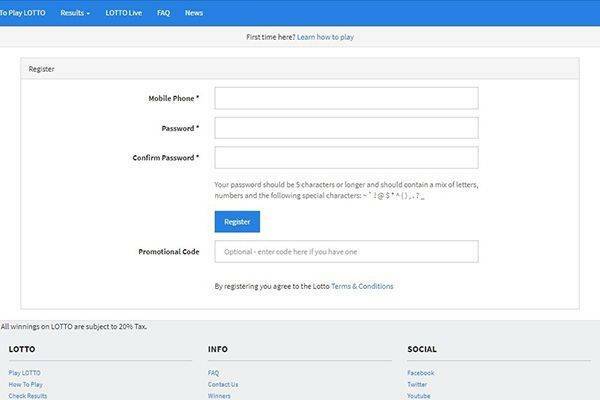 A very extensive FAQ page was created which contains almost all the necessary information needed to help you understand the basic rules guiding LOTTO. No chat option, but the social interaction is fresh and promising. Well done. IS MY LOTTO KENYA LOTTERY LEGIT? LOTTO has been licenced to operate in Kenya by the BLCB with a licence number, 1095. The website also contains security certificates to keep your information safe. LOTTO has helped raise millionaires over time. It is giving the people of Kenya hope again. In as much as the odds of the game are high, you only need to match 2 numbers and a bonus ball to win and at the end of the day, winners always emerge.